What a blessed year my husband, Keith, and I have had with our vegetable garden. We have pulled in zucchini, onions, beets, green beans, tomatoes, and cucumbers by the bushel. It is a joy to taste these beautiful, nutritious gifts our Lord gives us. But it is also a joy for me to see the happiness it brings my husband to prepare soil, plant, water, maintain, and carefully cultivate this rich food source for us and many friends/family members throughout the season. There are days when he spends five to six hours weeding, tending, and harvesting. Sometimes he comes in the house tired, dirty, and sweaty. But he is beaming from his day’s work. One day when I was watching him I realized that each time Keith is in his garden he is returning to, and honoring, his roots. You see, my man grew up in Oklahoma and spent his youth farming his folks’ land. His childhood years centered around helping his family plow, plant and lovingly care for, as well as harvest crops from the acres they farmed. 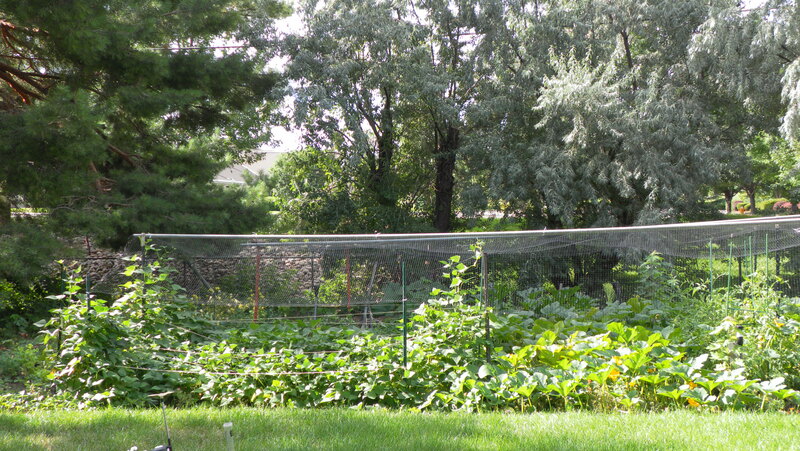 Our garden takes up only a small part of our one-third acre. It is nowhere close to the size of Keith’s family farm. Still, he tends it with the same love and care, and enjoys the same satisfaction of bringing forth fruit of the land. When the winter comes and the garden is put to bed, Keith waits eagerly for spring to bring him opportunity to once again revisit his roots. I know that if he is ever separated from gardening, he will surely feel great loss. By watching my husband’s return to his roots, I have better understood what it means to honor and return to my own, in a spiritual sense. I have discovered that when I am in a church, it must be Christ-based for me to thrive. I do not care what denomination it is, but it must be centered in our Lord. This is a nonnegotiable point. Sadly many of our Christian establishments are taking on the posture that whatever wind blows is okay to follow, and Christ can take a back seat to what brings in numbers and money in an attempt to keep the doors open. The focus in some spaces is no longer teaching our truth as Christians but doing a dance that does not offend anyone. I honor the fact that people have a right to believe as they like. But just like my farmer husband cannot be happy unless he is grounded in his tradition and roots, I am not fulfilled and whole unless I am grounded in Jesus. It has truly been a summer of learning and coming back to understanding that I am Christ’s, and He is mine. Sometimes as I do the work He calls me to do, I come in tired and sweaty. But I am beaming from being in His presence and doing what He has called me to do. I am grateful for the lessons He is teaching, and that He is calling Keith and me back into community where we can be centered in His word, and ways, in order to do the work that reflects our true spiritual roots. We have lived a bit of a dry spell in this regard for a few years. The saddest part about being in a dry spell is that sometimes we don’t realize it until we are given that drink of water that tells us we were dying of thirst. But I believe now our winter is gone, and our spring is here. We are once again entering a time of reaffirming and realizing who we really are. God is calling us back to be nurtured, cared for and made ready to produce the fruit of His spirit. We are again finding our true spiritual roots. And we are genuinely delighted. How about you beloveds? What is His call to you today? What a lovely analogy. Plenty to think about in this post! Thank you so much. Yes, I tell you I try not to be in my head too much. Dancers like to be in their bodies, don’t you know? And Christ asks us to be in our hearts, where He lives. But there are times when analysis is vital. This was one. Glad you enjoyed the post. Blessings to you.